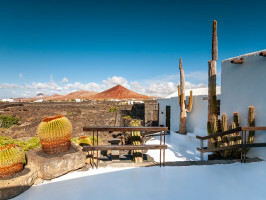 Discover the artistic, cultural and architectural beauty of Lanzarote at the Cesar Manrique Foundation and Museum. 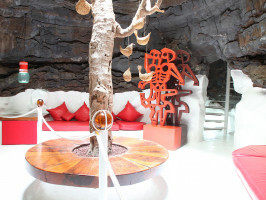 Enter the world of Cesar Manrique, a Lanzarote born artist whose designs permeate through not only the Canary Islands, but also the rest of Spain. See for your own eyes how his work and living space reflect the nature and landscape of his home island, creating a sense of peace, tranquillity and balance. 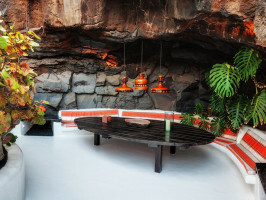 You can choose whether you visit the Foundation by itself or combine it with the Cesar Manrique House Museum located in the picturesque Haria Valley. The Foundation in Tahiche was created by the artist and a group of friends in 1982, but its doors never opened until 1992. Now you can walk through the gardens and building, both of which hold a great artistic significance, where nature and art blend effortlessly with the surroundings creating spaces that best express Manrique’s approach to art nature and nature art. 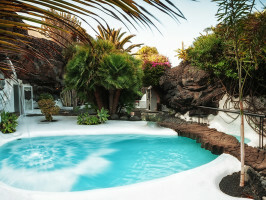 If you choose to combine the ticket with the Cesar Manrique Museum in Haria, you’ll gain an insight into the private life of the artist as well as a traditional island house. Once his home, it still houses personal belongings as well as work by Picasso, Tapies, Miro and Chillida. Start/opening time: From 10am to 6pm. Others: Last entry at 5.30pm. 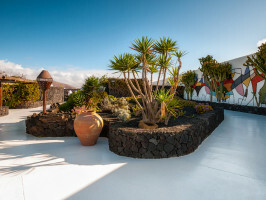 Two entry pack also includes Cesar Manrique’s House and Museum at Haría which is open Monday to Sunday from 10.30am to 6pm, last entry at 5.10pm. Children up to 3 years enter free of charge.